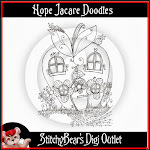 Hope Jacare Designs: New shop and blog candy! This post will stay at the top until the candy is drawn.... At last I hear you say Keryn (amongst others)! Thanks for all your encouragement to do something with my doodles. And before another year passes thought I'd get me act in gear and at least take the easy option - with secure payment methods - and go for a shop at Shophandmade. It's my Birthday tomorrow 39 years young......so if I don't do it now It will be next year and I'll be 40 and still thinking about it! As a little thanks for anyone who would like to do a wee linky thing to spread the word I will have some candy thought I ! What would you like....mmmmm! Since it went down well last time I was thinking a personal doodle. 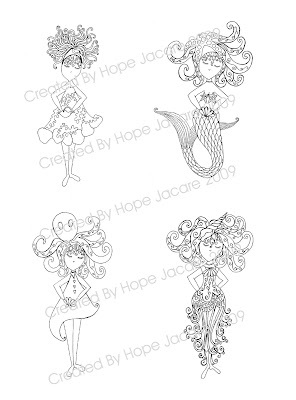 You give me a theme and I will create you a digi image and also send you the coloured original - so it's all yours! Please just provide a wee link to this post to spread the word and leave me a comment to let me know . Also if there is anything that you are looking for I will add it to my ever growing list of things to doodle! I will try to work out how to keep this post at the top and it will end on the 19th September. 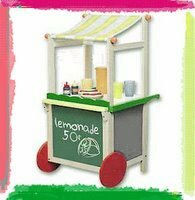 Thanks again for all your encouragement and taking the time to blog hop in my direction. omg! WOOOOO HOOOO! way to go! i am sooooo happy for you and yes! you definitely should be doing this! i will probably be your first customer (after i do this post) and it will get posted on my blog! hey! what are friends for! but i do get dibbs on "i knew her when...." LOL. Oh wow that is fantastic news Claire, I'm so pleased for you. I love your drawings. I will post a link on my blog and go and visit your shop. Hope you are having a lovely weekend and your children have settled back into the school routine. I started a shop there too, but didn't get round to posting anything there. I did my own blog shop instead, Delicious Doodles I called it. Maybe I'll just go and start up that shop again! 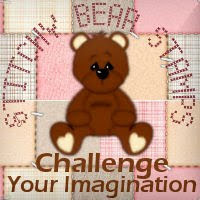 Hi Claire I have posted on my blog and just been to check out your fab shop. I could not resist buying one of your images and can not wait to make a card with it. Yes yes yes!!!! Good for you, and Happy day before your Birthday too!! I must join in on the cancancandy this time, and congratulations on the doodles!! AND, to get that post to stay at the top of your blog, go to the section of your post where it says edit, go to the area where it is time-stamped (lower right) and move the date and time to the one you desire and hit publish!! The trick with that is that you need to publish first, which you obviously have, and then edit the post. The post will remain at the top of your blog until that date passes. Now, gonna do some linking of the cancan on my sidebar!! Yipee!! The girl has done it, well done Claire, your art work (doodles are fab) I wish you lots of success, will pop a post on my blog. Have a great birthday tomorrow. Yes, yes!!! You did it!!! Congratulations Claire!! I'm so proud of you! Of course I announced the great news on my blog and your shop is also at my 'favourites shops-list'! Hi Claire, congratulations on your shop, I'm sure it will be a great success! 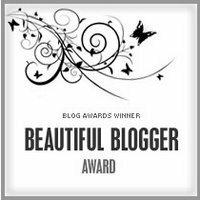 I'll put a link to it on my sidebar, and thanks for the chance of winning your blog candy! Happy Birthday for tomorrow, you are good saving your post until tomorrow! 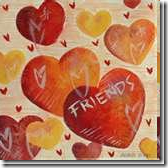 Hi Claire this is my first time to your blog and your doodles are fantastic, just love them. I have added you in my candy jar, good luck in your new venture. Congrats on your shop and good luck with it. Your doodles are fab.I'm going to add a link to my sidebar now. Btw, I would love to buy a doodle of a witch for my Halloween cards. I forgot to say Happy Birthday, hope you have a fantastic day. Wow, Claire - I just logged on to wish you a happy birthday (kept the date ever since you sent it to me weeks ago), and I was so thrilled to see that you have at last put your work into production. Fantastic news!! I will be entering your blog candy after sending this message, and would like to wish you every success with your new venture. So, Claire - HAPPY HAPPY HAPPY BIRTHDAY and have a wonderful one! Well done!!! And a very happy birthday too! Shall have to have a pop over to your shop for a look...!! Yes, yes ....you did it !!!!!! Congrats Claire !!!! I'm so glad for you. I will post the news on my blog, and pop over to your shop for a look. 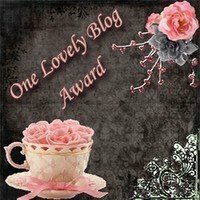 Now on my blog Claire Good luck! Many congratulations on your shop Claire. Just had a look having seen it on Rose's blog. The images are just gorgeous and I will be indulging myself with some soon. 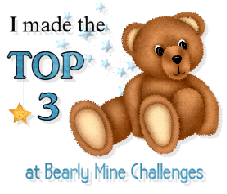 I'll add your image to my sidebar with a click on link too so any visitors to my blog won't miss it. many congratulations Claire on the opening of your new shop. I wish you luck and every success......as I won your last candy where you designed the most fabulous image for me, i feel guilty in enetering this one... but I wanted to add you to my blog to spread the word. Great pictures. I post about your shoop on my blog. But I don't see any cat. i Love cats, why don't you try to doodle a cat? I did see a note somewhere the other day about your images, you really are so talented. These are quite unique and different from many of the others out there. Happy Birthday and will add a note to my blog. Oh WOW Claire!! 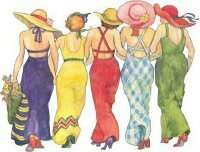 Im so tickled pink for you and so pleased you have got your shop up and running. Ive made my 1st order and can't wait to play with it! Im just so disappointed to have missed all of the excitement this week having been pc-less for a week now but am so very very pleased for you! Your success is only just beginning, hold on tight Claire as you are in for a great ride!! I hope you had a fantastic birthday, I am late but will sort something today in the post for you as Id hate to miss it all together! As your Number 1 fan, you know I will add your new shop on my blog - that goes without saying! OMG .. CONGRATS ON YOUR SHOP!! HOW SUPER EXCITING !! :) HEEE YOUR GONNA HAVE FUN!! oh wow these are fab off to link back to this thanks and hope you had a wonderful day. Congrats on your new shop and I hope you had a great birthday. 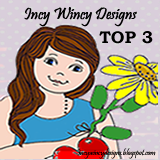 I have put a link in my sidebar thanks for the chance to win one of your designs. Love those mermaids so off to look around your shop. Well done you Claire. I wish you all the very best with this venture. I'll pop over to my blog and put something up about your shop and your candy sweetie. Happy Birthdayt,thanks for the chance to win.bisou tuKara from tunisia. Happy birthday.Lovely stamps,thanks for a chance to have it.Hugs Namo. I will try an enter this candy - linked back in my sidebar! Good for you! I just sent some friends an image to play with to see if they liked it to help me decide if my doodles were fun to work with. I wish you the best of luck and may God help you to be very profitable. You do great work, and your sketches are magnificent!!! I only just found your blog, but your doodles are wonderful! I placed a link to your blog in my sidebar under "The CandyBar". Happy Birthday! Hi thanks for stopping by and leaving me a lovely comment, just like to say happy bithday and hope your bussiness is a success. Your doodles are beautiful ... I linked your candy in my candy jar ... thanx for the opportunity at such an awesome prize! Happy Birthday. Congrats on the shop. Your images are fab. I've linked your candy and I've become a follower so I can track down where to purchase your images. WOW what an awesome prize! That would be soo cool :) And I love your "doodles"...I'll post you in my side bar here: The Hovey Hut and then I'll check out all your stuff! I think I thought I'll get back to this one later when I have a little time. Guess I very nearly forgot as it is a lot later. Hope you had a fabulous birthday, 40 years young, eh? would also love to be in with a chance of winning this lovely candy.